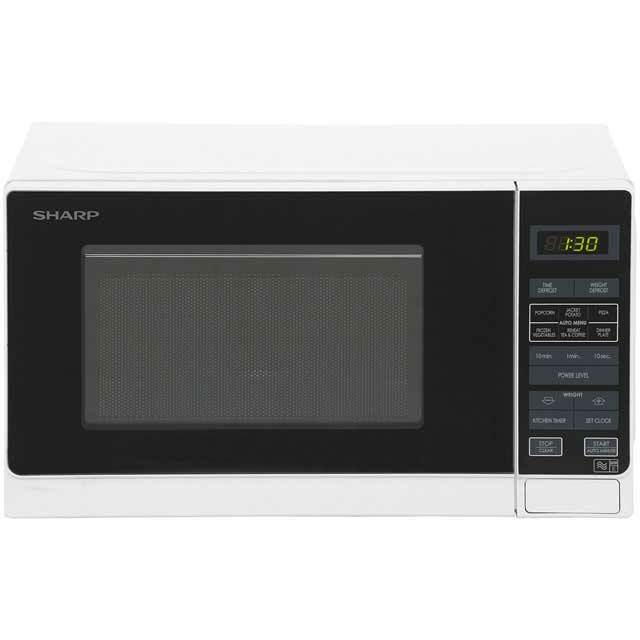 Enjoy lots of your favourite meals and snacks with this great black microwave oven from Sharp. 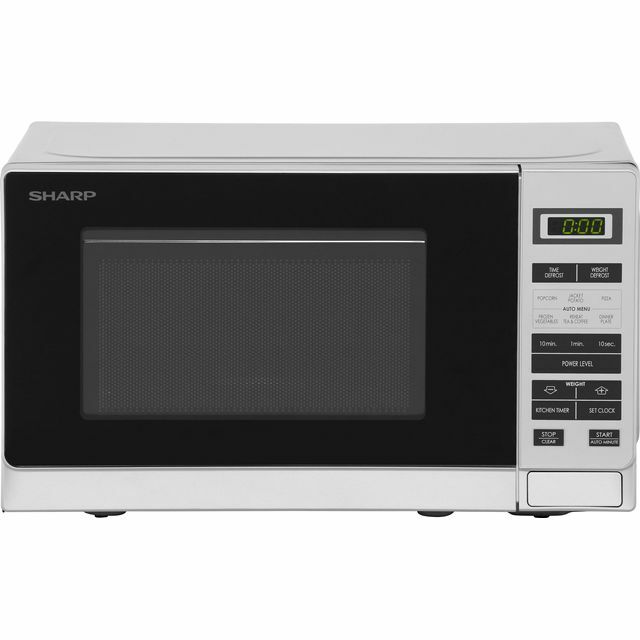 With its 20 litre capacity and 800 Watt power output, it’s perfect for preparing a variety of foods in smaller households. With 11 different power levels to choose from, you’ll have total control over every dish too. Thanks to the clever Auto Minute Start feature, it’ll immediately cook on full power for 60 seconds or extend the cooking time of your selected programme by one minute – ideal if your food’s not quite ready. This model also has touch controls which are really easy to use. As always great service from AO. 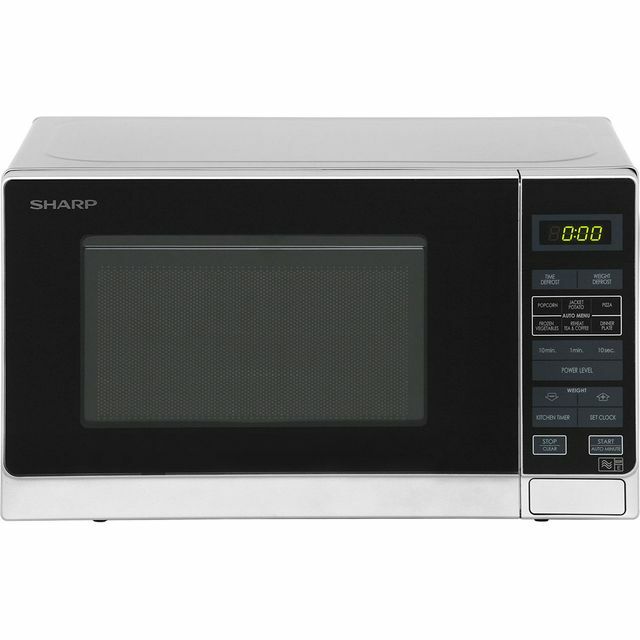 We bought this microwave to fit into a small area in our kitchen. Although it is small it takes a regular size dinner plate. Is powerful enough for what we need it for and it looks great. Nice compact size, easy to use, it has a max setting of 800w, plus quite a few setting lower than that. Digital display and good value for money. AO delivered when they said they would and I was kept informed of when the product would be delivered and where we were in the queue for delivery, AO were excellent!!!!! 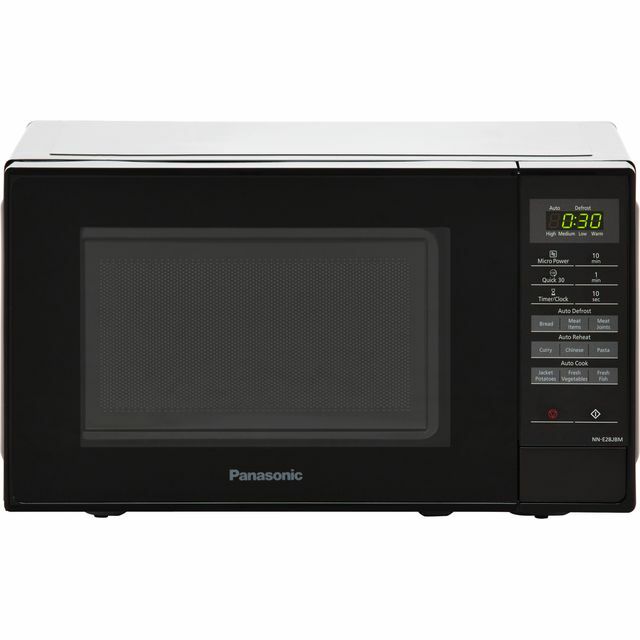 brilliant, powerful microwave that fits a full dinner plate in a busy school staffroom when everyone wants lunch at the same time. Super value for money and great customer service. 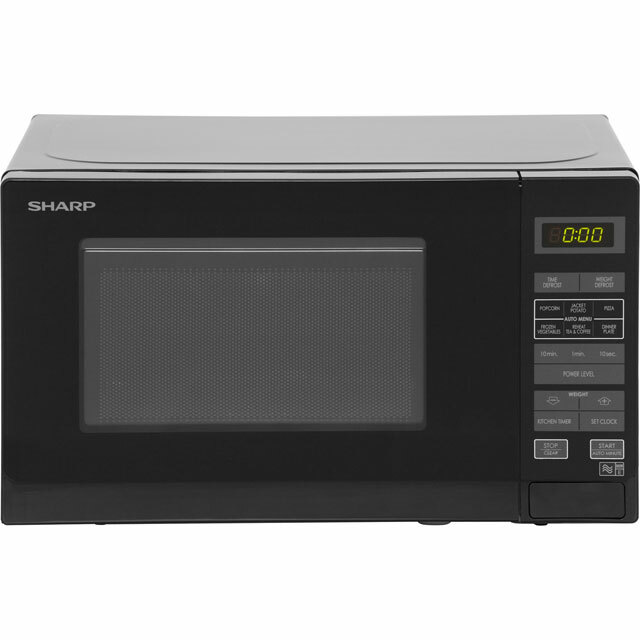 I had previously had the 25l Sharp microwave so decided to try the smaller 20l version. I am not disappointed. The only niggle is having to press power level button every time before use, but otherwise I'm really happy with the product. Purchased for my son it’s brilliant lots of different features, looks classy in black can’t go wrong would suit students.